The leaks marathon is finally over as Huawei P30 was officially unveiled. It doesn’t have the 5x periscope zoom camera of its big brother P30 Pro, but still has plenty to offer. It is the first vanilla variant of a Huawei flagship with AMOLED panel and under-display fingerprint reader and now has three cameras on its back. Huawei P30 runs on the Kirin 980 chipset and it arrives in four RAM/storage variants - 6GB/128 GB, 8GB/64 GB, 8GB/128 GB, and 8GB/256 GB. Storage can be expanded via a Nano Memory card that goes in the second SIM slot. The display is a 6.1" panel with Full HD+ resolution, tall ratio and no curved edges - it is a completely flat screen. The main camera is 40 MP SuperSensing unit - a Sony IMX600 sensor with custom RYYB color filter for superior low-light performance. There is also an 8 MP f/2.4 telephoto lens with 3x optical zoom and 16 MP f/2.2 17 mm ultra-wide snapper, complete with the Leica branding. The camera setup is completed by a dual-LED flash and laser autofocus. 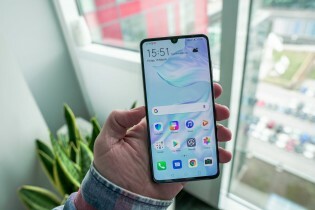 The waterdrop notch on the display hosts a 32 MP F/2.0 shooter, which is sadly still fixed focus. The P30 is covered in glass both on the front and back, but it lacks wireless charging. The 40W charging is also reserved for the P30 Pro, but the classic SuperCharge that goes as high as 22.5W will still top the 3,650 mAh battery reasonably quickly. Where the Huawei P30 outdoes the P30 Pro is the 3.5 mm audio jack. Connectivity also includes Wi-Fi a/b/g/n/ac, dual-band GPS and Bluetooth 5. The Huawei P30 will arrive in Black, Breathing Crystal, Aurora, and Pearl White colors. 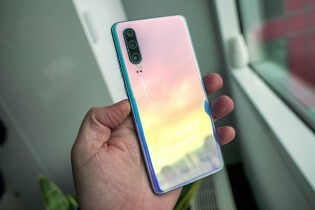 The last one has shades of blue, silver, pink, purple and looks similar to the P20 Pro Twilight gradient, as we established in our early hands-on. The P30 can be pre-ordered today, its price starts at €800 (for the 6/128GB model). Sorry about that, I meant flagship. IIRC there was a time when the P series didn't include any "lites" or "lite pros". And it used to start at a significantly lower price.